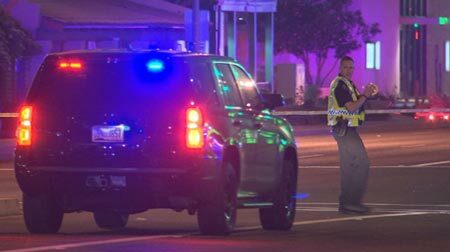 Scottsdale, Arizona—A pedestrian who collapsed in a Scottsdale crosswalk was struck and killed by a hit-and-run driver late Wednesday night. Scottsdale Police Department accident investigators report that a witness observed a man lying in a crosswalk on east Shea Boulevard, possibly as the result of a medical event. An SUV eastbound on Shea struck the man near 72nd Place, but did not stop. The unidentified man later died at the hospital. The suspect vehicle is described as a dark-colored SUV. Police are asking anyone who was driving in that area Wednesday night to call (480) 312-5000. No more information presently is available as the accident investigation continues. We extend our condolences to the victim’s family and friends.